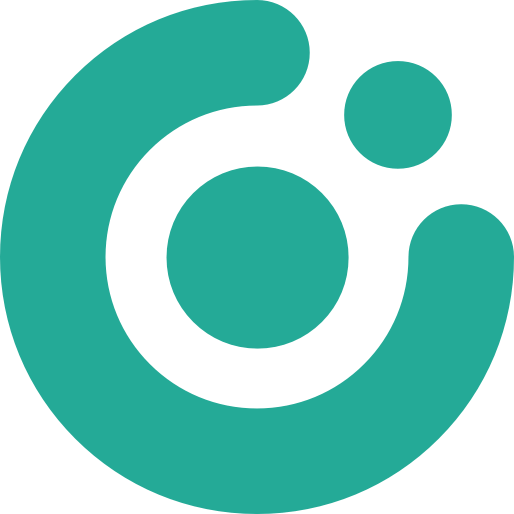 Are you a non-profit or charitable organization looking for an easy and customizable membership tracking solution for your team? Are you a FileMaker developer with one or more clients who fit these criteria? If so, you should check out the Memberships Template from FileMaker. Better than spreadsheets, this FileMaker Template uses a clean and modern design, making it easy to learn and use. You can also change them to fit your organization’s needs and priorities. FileMaker Templates are a great resource for people who are new to the FileMaker platform, as well as experienced developers. Each template comes with step-by-step instructions to “build-on” additional functionality. FileMaker offers each template in two forms: a Base Template with core functionality, and a Master Template with additional pre-built features. Below is a quick overview of the features and functionality of the Memberships FileMaker Templates. Admittedly, unlike the Job Tracking FileMaker Template, the Memberships base template is rather simple. However, the appeal of this Memberships Base Template is its simplicity. Many businesses frequently complain that off-the-shelf software doesn’t meet their specific needs. If you manage your Campaigns and Donation differently, trying to train staff can be challenging. Plus, if you are new to developing with the FileMaker platform, starting from a base template and following the “build-on” instructions will give you an appreciation of the flexibility of FileMaker’s Workplace Innovation Platform. Send Emails – Uses a specified email template to email ALL members at once, regardless of campaign. As you can see, the Memberships Master Template includes some nice additional functionality. You can add a few charts to help visualize key data, or better summarize the Donations History report to be a little cleaner. 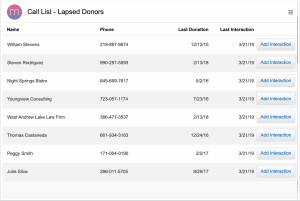 However, my two favorite Memberships “build-ons” are the Lapsed Donors Call List and the Email Templates. 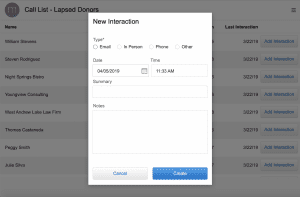 From a user or volunteer standpoint, having a button that instantly shows you a list of all the people you need to call, their respective phone numbers, last donation date, and last interaction date, makes sitting down to follow up with all of them a breeze. Plus, having an obvious button to allow the volunteer to quickly and easily record the status of the call makes this report layout a very handy workflow tool. Similarly, re-writing or copy/pasting text for re-use can be incredibly difficult to manage, especially as your team grows. There are powerful tools that can handle all of this for you, but their learning curve is quite steep. While they provide a lot of options and power, much of it is overkill for most small businesses and organizations. However, there are two limitations to the current Email Template’s “build-on”: custom merge fields and Send Emails by Selection. If added, these features would dramatically improve this FileMaker Template. Anyone who has mastered the art of Mail Merge in Microsoft Word and Excel knows how powerful Custom Merge Fields can be. Mail Merge lets you to take data from one source and pass it into another for easy printing or email. One example is passing donor names, addresses, and donation amounts from a spreadsheet into your Word document. Nowadays, most businesses use some form of Custom Merge Fields for almost all written and digital correspondence. If your organization relies on convincing other people to give you money, it’s to your advantage to make all such requests professional, personal, and consistent. The downside of Mail Merge is that ‘mastery’ of this technique is not easy and can be intimidating to the casual user. Because Mail Merge and Custom Merge Fields are a fairly common feature, the absence of such functionality in this template doesn’t mean that FileMaker wouldn’t be a good tool for the task. If you want to use this template for your business needs and want help including Custom Merge Fields, please contact us for a consultation. 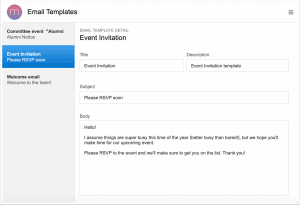 The Memberships Master Template has a nice option that allows users to easily send a mass email to members using a previously specified Email Template. Examples include: “Thank You for Your Donation” or “You’re Invited to Our Next Event”, among others. Unfortunately, the current Send Email functionality sends emails to all members and doesn’t allow sending one-off emails to individuals. It’s also impossible to send emails to smaller groups like committees or participants of a single campaign. Many of us are far too aware of “digital communication overload”, so being more selective on how frequently we email our audience (and being more targeted in the way that we do) can go a long way in keeping an audience engaged and interested. Adding the option to send custom emails by selection would really make this aspect of the Memberships FileMaker Master Template even more useful and effective. Adding this capability is very doable with FileMaker custom development. The Memberships FileMaker Template has a lot to offer for organizations. It’s simplicity, ease of use, and flexible customization make it the perfect solution. While there are a few limitations with its default features, this template illustrates just one of the many ways that the FileMaker platform leads in workplace innovation. I hope you enjoyed this article and thanks for reading! Please help to spread the word by sharing this post with others. You can also subscribe below to keep up with our latest updates. If you would like to learn more about how to expand upon this FileMaker Template, please feel free to contact us. Otherwise, you can find additional related posts about the new FileMaker templates here.